[i am a dekaphobic]: On Why You Should Watch "You're Not You"
A few months ago, the internet was bombarded with ALS Ice Bucket Challenges, which raised funds for ALS Association. However, what do we really know about ALS? According to ALSA.org, ALS or "Amyotrophic lateral sclerosis (ALS), often referred to as "Lou Gehrig's Disease," is a progressive neurodegenerative disease that affects nerve cells in the brain and the spinal cord. Motor neurons reach from the brain to the spinal cord and from the spinal cord to the muscles throughout the body. The progressive degeneration of the motor neurons in ALS eventually leads to their death. When the motor neurons die, the ability of the brain to initiate and control muscle movement is lost. With voluntary muscle action progressively affected, patients in the later stages of the disease may become totally paralyzed." Why the long introduction? Because this movie is about this disease and how it affects the person with ALS, and the people around him or her. This movie is about two people with different personalities, Kate (Swank) and Bec (Rossum), who saw each other's strengths and helped each other conquer their weaknesses. 1. 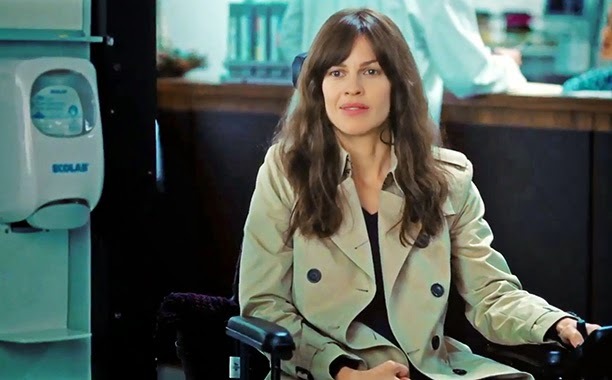 Hillary Swank's brilliant performance as Kate, a classical pianist afflicted with ALS. She is also one of the producers of this film. 2. Emmy Rossum's breakthrough acting as Bec, a troubled college student who Kate hired to take care of her. 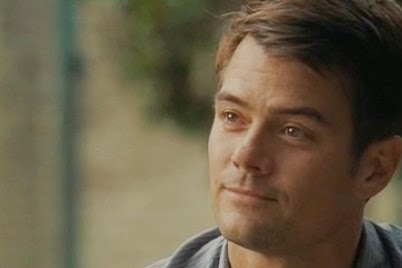 Josh Duhamel's role as Evan, Kate's husband, was also heart-wrecking. 3. The simple yet heart melting moments between Kate and Bec. Young and carefree Bec made Kate get out of her shell and enjoyed life what has to offer even though her condition was deteriorating. Kate also encouraged Bec to focus on her music and her studies. 4. On how Evan balanced his job and taking care of Kate. Evan's devotion to his wife was very touching, from giving her a bath to even doing her makeup. 5. The struggles Kate had to go through with friends and family. Not everyone around Kate had the willingness to understand what she was going through. It is important to know that ALS can strike anyone. It is really helpful if we can donate to fund the research on how to cure it, it would be very beneficial if we immense ourselves with the effects of this disease. 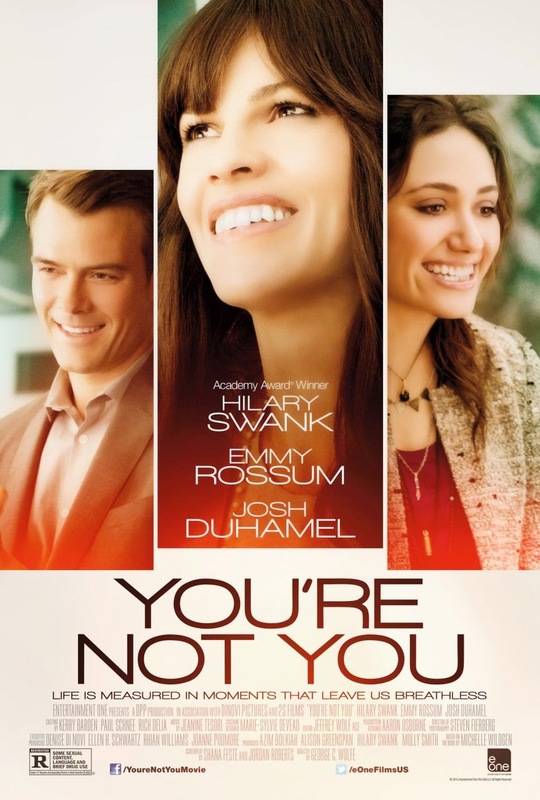 Catch this film, "You're Not You" at the theaters this November 26, 2014. Thanks to Marcie Linao of Love and Light Productions for the invite. I saw a preview of this and was instantly pulled into the story. Will try and catch this while it's still in the cinemas. I missed the screening of this :( But hopefully it will be shown in the new cinemas here in Alabang. I super love it there kasi :D Thanks for the review! It's the first time I heard of this movie, looks like a tearjerker. I will have a friend of my friend download it for me so I can see it. Or do you have a copy perhaps?